All five Indian-American lawmakers, the highest in the history of the United States Congress, have been nominated to influential Congressional panels. Congressman Ro Khanna representing Silicon Valley, has been nominated to the powerful House Budget Committee, while Congresswoman Pramila Jayapal, elected to the House of Representatives from Seattle, would serve on yet another powerful House Judiciary Committee. Raja Krishnamoorthi, representing Chicago's west and northwest suburbs, will serve on the House Education and Workforce Committee, along with the powerful House Democratic Policy and Steering Committee. Three-term Congressman Ami Bera, the senior most among all Indian-American lawmakers in the House of Representatives, has been renominated to the House Foreign Affairs Committee and House Science, Space and Technology Committee. He is also the co-chair of Congressional Caucus on India and Indian Americans. Kamala Harris, the first Indian-American to have been elected to the US Senate, has been made member of four powerful Senate Committees. These are Committee on Budget, Select Committee on Intelligence, Committee on Environment and Public Works and Committee on Homeland Security and Governmental Affairs. "These four committees will be key battlegrounds in the fight for the future of our country. At a time when so many Californians and Americans are uncertain about our future, I will aggressively fight for our families and the ideals of our nation," Harris said in a statement. This is the highest number of Indian-Americans in the history of the US Congress. 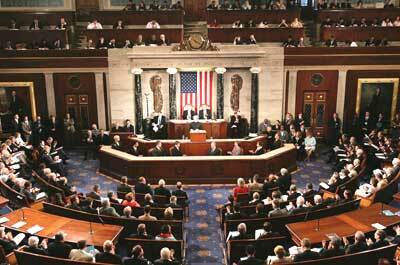 Did you know Nehru was first PM to address US Congress? Kamala Harris as US president in 2020?